Welcome to Chearsley & Haddenham under Fives Pre-school or ‘CHUF’ for short! CHUF welcomes children from two years old to school entry age. CHUF in Chearsley is held in Chearsley Village Hall where we have been running as a pre-school since 1968. CHUF in Haddenham opened in February 2003 and is based at St Mary’s CE School in Haddenham, where we have a room dedicated for our use. Both pre-schools have fantastic outside play areas and we provide children with an exciting environment in which to learn. We welcome visits to meet the staff and to see the children enjoying themselves in the happy, secure and supportive environment that CHUF provides. 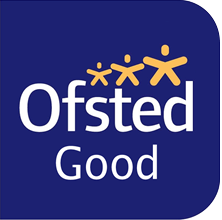 Pre-School Assistant Job Advert and Application Form March 2019 can be found on the ‘Forms and Term Dates’ page.